Rhinoplasty, commonly known as a “nose job,” is one of the most popular cosmetic procedures performed. Rhinoplasty is performed for a variety of reasons, including functionality to correct breathing problems, reconstructive to repair trauma or defects, and cosmetic when a patient wants their nose to have a different appearance. Changing the shape of the nose not only improves the proportions of the nose but enhances overall facial symmetry as well, transforming the appearance of the entire face. Nose size can be increased or decreased, the bridge can be widened or narrowed, nostril size and position can be changed, and the appearance of the nose can be refined. There is not one “perfect nose,” as every patient’s needs are different; the perfect nose for you will accentuate your other features and compliment your face. Rhinoplasty is performed as an outpatient procedure. The surgical sutures will be removed with the nasal splint one week after surgery. Bruising typically develops around the eyes over the first few days and dissipates in about a 10-14 days. While most swelling subsides within one or two months, some subtle swelling will persist for up to one year. Patients generally feel confident enough to go in public two weeks after a Rhinoplasty. Ideal candidates for a rhinoplasty are men over 17 or women over 16 in good health who are unhappy with the current appearance of their nose and wish to permanently change the shape or size. Candidates that have realistic expectations about the outcome of the surgery will have the best experience. Individuals who have had previous nasal surgery and are unhappy with the results may also be good candidates for a revision rhinoplasty procedure. When performed by an experienced surgeon that customizes the procedure to each patient’s needs, rhinoplasty has a very high patient satisfaction rating. Dr. Shapiro has more than three decades of experience performing rhinoplasty surgery and has won several honors in Arizona, including being recognized as a leader in Arizona for correcting previous rhinoplasties. 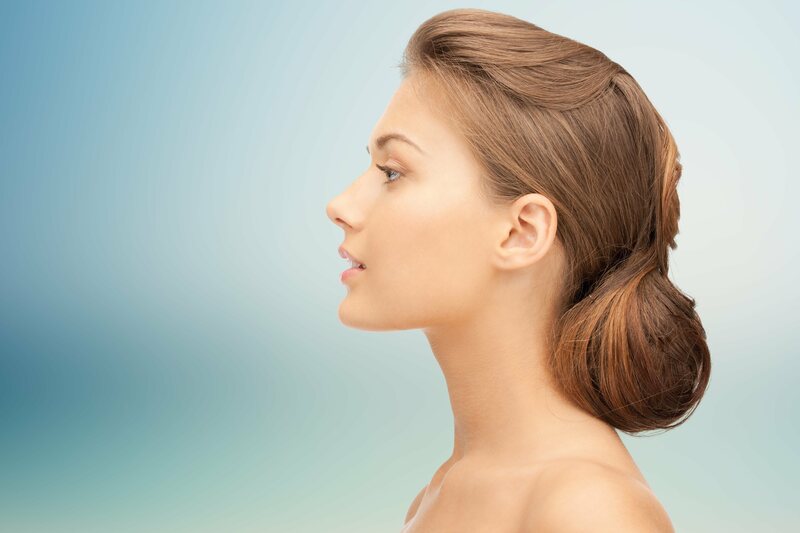 If you are considering nose reshaping surgery, contact Dr. Shapiro’s office at (480) 451-1700 to set up a consultation to discuss your concerns and goals and customize a procedure that’s right for you.